Samsung has come out with the details of its top-tier SUHD TV series for 2016. 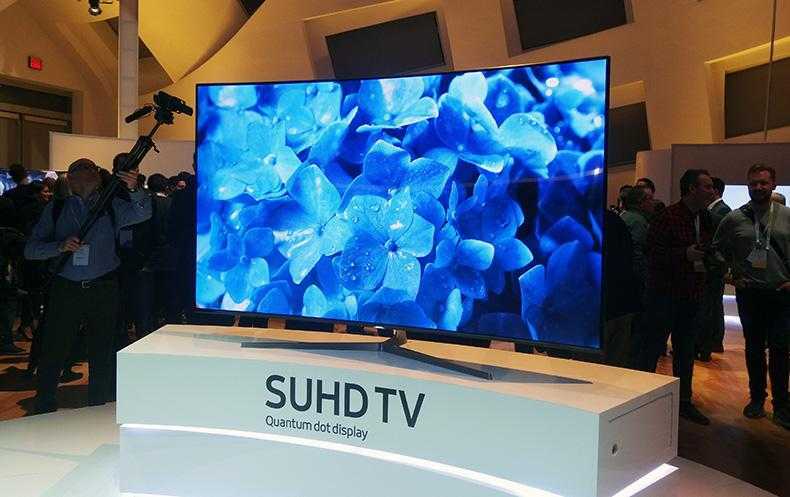 The South Korean company made a bold move by coming in with TVs across all five major SUHD ranges with a total of 16 different sets to be incorporated. While other manufacturers might be struggling to come up with a single TV in each of the ranges capable of meeting the Ultra HD Premium specifications, it seems Samsung is not looking behind as it looks to reach out to the largest audience possible with these high-end devices. Just as a highlight, Samsung has a model across all five SUHD TV ranges with 10-bit panels that can manage resolutions of up to 4K/UHD, more than 1000 nits of brightness and no less than 0.05 nits of black level, among other specifications. Here are the pricing details of the various models Samsung has unveiled under the five SUHD TV ranges. This is the flagship Samsung SUHD TV and it boasts direct LED lighting in addition to local dimming. Furthermore, the KS9800 SUHD TV is equipped with 4K/UHD resolution as well as a top-end standard for the High Dynamic Range playback. The KS9800 SUHD TV series has yet to hit the market, but it will do so somewhere between May and June at a price of $19,999 for the 88-inch model, $9,999 for the 78-inch model and $4,499 for the 65-inch model. The KS9500 SUHD TV series drops the use of direct LED lighting in favor of edge LED lighting, but it keeps local dimming. However, don’t expect to get better local dimming with edge LED lighting as compared to what direct LED lighting offers. 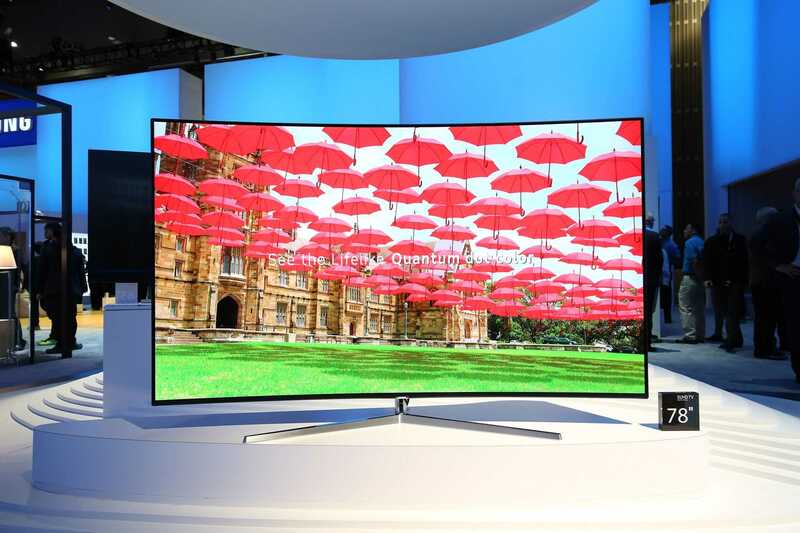 If you want the larger 78-inch, the Samsung KS9500 will be available in June at a price of $7,999. However, you can grab the 65-inch or 55-inch models now at prices of $3,699 and $2,499 respectively. In essence, the KS9000 series is the highest specified TV in the current line of Samsung SUHD flat screen TVs. In actual sense, there are very slight differences between this model and the KS9500 series, something that could work in favor of the device. On pricing matters, you can get a 75-inch variant for $6,499; however, this will have to wait until June. The models currently available are 65 inches and 55 inches, which cost $3,499 and $2,299 respectively. This step-down series brings back the curved screens and it comes with lesser motion processing power as compared to KS9000 series models. In addition, the KS8500 SUHD TV series makes use of a low-quality Micro Dimming technology as compared to its counterparts, but you will still enjoy crystal clear viewing with this TV. Size options available include 65 inches, 55 inches, and 49 inches. The first two, which are priced at $2,999 and $1,999, respectively, are already available for purchase; however, the smaller 49-inch variant will cost $1,699 when it is released later in May. The KS8000 SUHD TV series is simply a flat screen version of the curved screen KS8500 SUHD TV series. Other than the shift in the screen, there are really no differences between the two ranges. However, the prices vary slightly, with the 65-inch KS8000 series valued at $2,799, the 55-inch variant costs $1,799 while the 49-inch TV will cost $1,499 when released in May. There is an additional variant for the KS8000 series – a 60-inch model that will cost $2,299 when it is released next month. For those living in the UK and Europe, note that different variants of Samsung’s SUHD TVs will be available in your region and the prices may also vary.